SAP has extended its long-standing partnership with IBM by making IBM's open cloud platform the infrastructure to run SAP Hana Enterprise Cloud. SAP Hana Enterprise Cloud is a managed, private cloud hosting service. Launched in 2013, it hosts SAP Business Suite software, including SAP NetWeaver Business Warehouse and SAP Hana custom applications. The service is intended to provide enterprises an easier, more comprehensive way to deploy Hana compared with on-premise deployment. According to the two companies, the alliance will help accelerate enterprises’ cloud journey, as well as expand SAP Hana Enterprise Cloud’s reach into major markets by taking advantage of the IBM cloud datacentres. IBM is pumping in $1.2bn to build 15 datacentres in Europe to propel its cloud services. IBM chairman, president and chief executive Ginni Rometty said the new partnership was significant in the deployment of enterprise cloud. “It builds on our two companies’ long history of bringing innovation to business, and extends IBM’s position as the global cloud platform. “Our secure, open, hybrid enterprise cloud platform will enable SAP clients to support new ways to work in an era shaped by big data, mobile and social," she said. While SAP will bring the real-time computing capabilities of Hana – combined with the ability to run mission-critical business applications such as SAP Business Suite – in a cloud environment, IBM will bring enterprise depth and the open architecture of IBM cloud managed services and SoftLayer. The combined technologies allow customers to securely manage SAP workloads from trial to production on a consistent infrastructure, with transparency and control over where data resides, according to the cloud infrastructure provider. Enterprise customers can also use IBM’s consultancy services to deploy SAP applications. 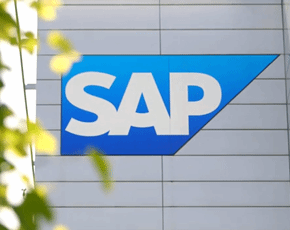 SAP chief executive Bill McDermott said the global agreement heralds a new era of cloud collaboration, as the demand for SAP Hana and the SAP Business Suite on SAP Hana in the cloud grows. “We anticipate customers will benefit from this collaboration and expansion of SAP Hana Enterprise Cloud," he said. The deal will expand SAP Hana’s footprint across IBM’s cloud reach and also provide enterprises with an open-standards-based approach. This, in turn, will help create the foundation to more easily integrate existing technology investments with new workloads and make applications more interoperable. The IBM cloud also provides visibility and control to enable enterprises to apply and extend their security best practices in a cloud environment, according to IBM. Enterprises will also have additional reach and scale to more easily start locally and scale globally with cloud capabilities, as well as complying with data residency and other regulatory requirements.